Epstein SK , Ciubotaru RL , Wong JB .Effect of failed extubation on the outcome of mechanical ventilation.Chest 1997;112(1):186-192. Girard T D,Alhazzani W,Kress J P,et,al.An Official American Thoracic Society/American College of Chest Physicians Clinical Practice Guideline: Liberation from Mechanical Ventilation in Critically Ill Adults.Rehabilitation Protocols,Ventilator Liberation Protocols,and Cuff Leak Tests[J].American Journal of Respiratory and Critical Care Medicine,2017,195 (1):120-133. 刘又宁, 主编. 机械通气与临床. 第 2 版. 北京: 科学出版社,1998.188-203. 王辰, 商鸣宇, 黄克武, 等. 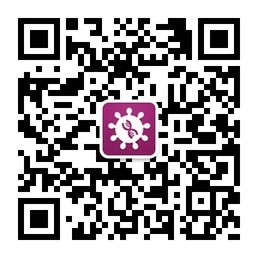 有创与无创序贯性机械通气治疗慢性阻塞性肺疾病所致严重呼吸衰竭的研究 [J]. 中华结核和呼吸杂志,2000(04):212-216. 黄华兴, 陈飞鹏. 以肺部感染控制窗为切换点的序贯机械通气治疗慢性阻塞性肺疾病所致呼吸衰竭临床研究的 Meta 分析 [J]. 实用医学杂志,2013,29(04):646-649.